Hyundai plans to implement the technology initially in the Santa Fe model that is to be released in select markets in the first quarter of 2019. To unlock the vehicle, the driver needs to place a finger on the sensor located on the door handle. To unlock the vehicle, the driver needs to place a finger on the sensor located on the door handle The encrypted fingerprint information will be identified and delivered to the fingerprint controller inside the vehicle. The driver can also easily start the vehicle by touching the ignition that is also equipped with a fingerprint scanning sensor. The technology's chance of misrecognising another person's finger print as the driver's is only one in 50,000, making it five times more effective than conventional vehicle keys, including smart keys. 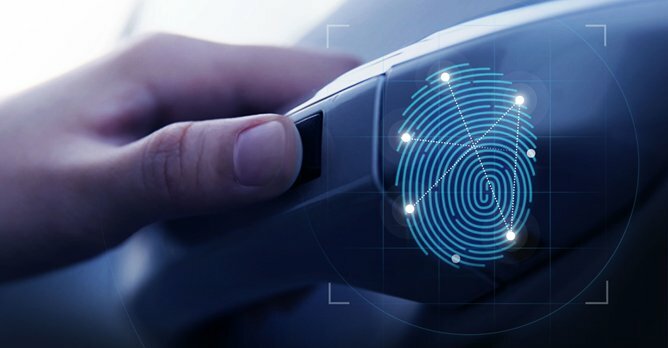 Moreover, through real-time learning of fingerprints supported by a 'Dynamic Update' system, the fingerprint system can continually improve its success rate. Hyundai will apply the fingerprint technology in select markets and gradually expand to other markets. Hyundai Motor also plans to continue to implement other customisable technologies to the vehicle lineup, to strengthen technological leadership in the future mobility market.